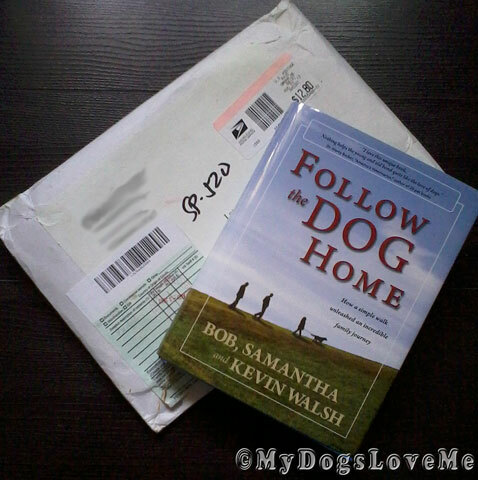 A month ago, I had entered DogznPaws' contest winning myself a book written by Bob, Samantha and Kevin Walsh titled Follow the Dog Home. We finally received the book last August 28,2012 after claiming it in our local post office. Thank you for the book, Lisa! We loved it so much. 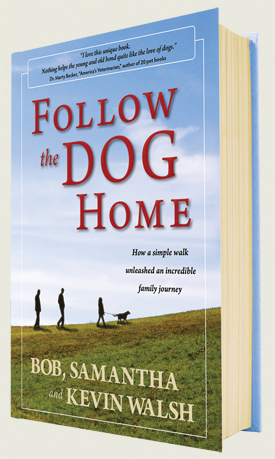 Follow the Dog Home talks about 3 generations of dog ownership and how these dogs have made a significant difference in the Walsh's lives. Yes, non dog-lovers may find it hard to relate to but it's certainly a book worth reading (with emphasis on well-written plots, amazing stories, comedic experiences and heart wrenching page-turners). 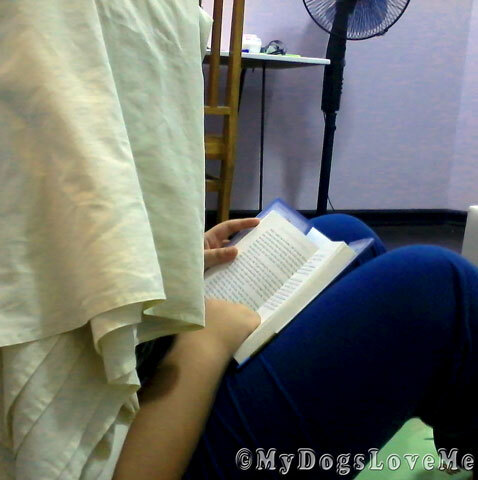 If you read it and you're a dog lover, you'll most likely find yourself nodding, laughing and crying at each dog chapter. If you read it and you're just a book lover, you'll appreciate the vivid descriptions, hilarious and dramatic aspects of each dog plot, and the smooth transition from one storyteller to another recreating the same moment in their own point of view. I would have loved sharing my favorite stories with you but they were too many to mention. And that would just beat the logic of making a review. Although I have to say, my two favorite stories are those of Dannie and Susie. Looks like dogs, cats and pawrents aren't the only ones capable of mischief. I had my niece reading Dannie's story (just the last 2-3 pages of it) and this is how she reacts. Why you may ask does she have a blanket on top of her head... Well, that's because she, like her aunt, couldn't help but cry at the frustrating turn of events. So here's my personal message to the Walsh Family: Follow the Dog Home, written by three generations, made two generations of MyDogsLove.Me cry. Thank you for sharing your lives with us. So many folks are talking about this book! I have to look for it! Nice review. Hope your day is a good one. Thanks for the review! We'll send Mommy out to see if she can find it locally. We were thinking about getting that book, thanks! We loved that book too! I'm so glad you liked the book! I thought it was a great book even though I shed a few tears! There were some great stories in it and some of the things their dogs did were truly amazing! It sounds like a good book, but I'm not sure I want to cry in front of the boys or my gf. awwwww....we bet our mommy'd cry too - and she's the CAT Person! MOL!! Great review! Our mom would be in tears, no doubt. We kitties love a good book, too. They are excellent mattresses and usually taste pretty good. That sounds like a tearjerker, for sure! We'd definitely be swimming in a puddle of tears. Great review! Sounds like we must make momma buy it and read it aloud to us! We love all laughing and crying and sharing together.